ALLDATA was founded in 1986. It is based in Elk Grove, California. It has been the leading source of vehicle repair information since then. 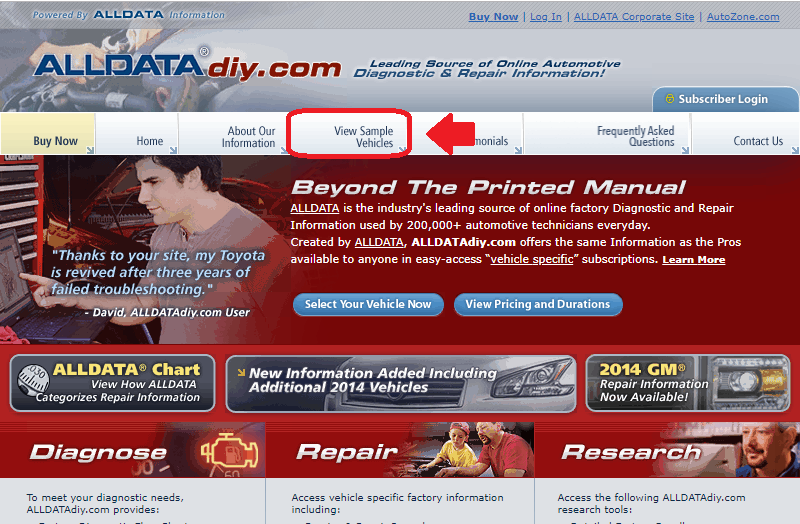 For myself, I had been using DVD-version of Alldata repair manual when I was an auto mechanic. That was accurate, comprehensive and dependable. Now, I’m comparing the DIY version of car online repair manuals from several publishers. Because of a good experience when I was an auto mechanic, Alldata is the first company to come up with when I search for online manuals. The DIY version of Alldata manual is available at Alldatadiy.com. They provide a subscription per vehicle and requires an internet access all the time. Alldata offers a discount for additional vehicles or renewals. It’s a good advantage for those who own multiple cars or buy ones for your friends. To get a discount for additional vehicles, you don’t have to get multiple subscriptions at the same time. As long as there is at least one active vehicle subscription in your account, all additional vehicles are eligible for the discount. 5 years are too long for most people because you may be going to change your cars in the next five years. However, Alldata allows you to change a vehicle subscription to another one time for both 1-year and 5-year subscription. It’s a very friendly and considerable offer which cannot be found on other publishers. ALLDATAdiy online repair manuals are made from Original Equipment Manufacturer service manuals. 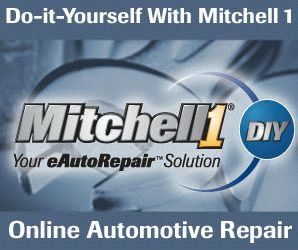 Because it is online, you can see up-to-date information, current Technical Service Bulletins and Recalls for your vehicle. They have all diagnostic trouble codes’ definition including manufacturer specific and provides detailed diagnostic procedures. Pictures and illustrations are not shared with different years or engine sizes of the same model of vehicles. All information you get is specific to your vehicle’s model, year, and engine size. Detailed wiring diagrams help you locate the problem of modern vehicles with a lot of electric components. Checking a labor time in advance helps you make a schedule for your repair. Ordering parts are sometimes challenges, and it is frustrating when you receive wrong parts. Alldatadiy won’t let that happen. You can retrieve factory part numbers. Take the numbers to a parts store or search parts with the numbers online, and you will never experience returning wrong parts and waste your time by doing so. Alldatadiy covers for most domestic and imported vehicles sold in the U.S. between 1982 and later. There is no manual for vehicles before 1982. And, BMW/Mini information is not covered by Alldatadiy because of the request of the manufacturer. 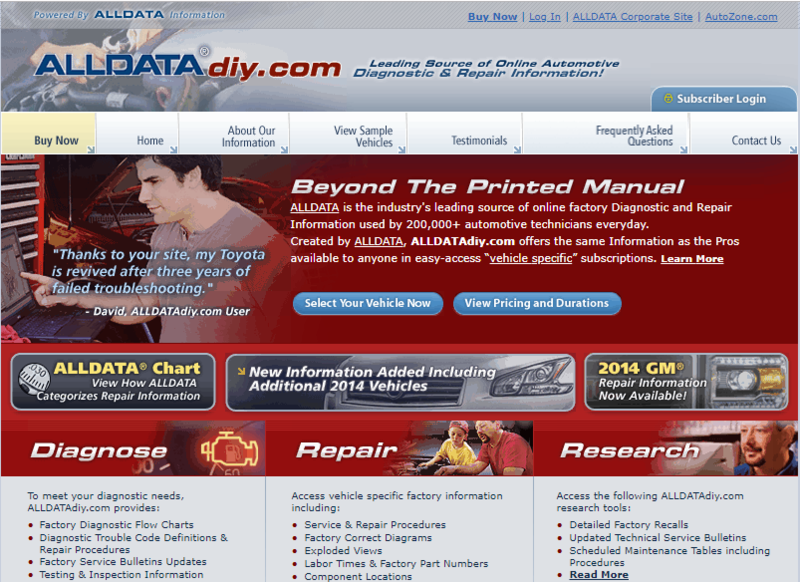 At first, Alldatadiy seems a lot of different from DVD-version of Alldata that I used when I was an auto mechanic. But, soon I got accustomed to using Alldatadiy. As compared with DVD-version, the design of Alldatadiy is kind of messy because Indexes and links are on both sides of the page. And, links on the right side are not consistent. Navigation is easy. But, you have to keep in mind that there are Indexes and links on both sides of the page. If you dig into specific information by clicking indexes on the left side, you may overlook the information you are looking for the links on the right side of the page. As you see in the picture, you can type only names of components in the search box. You will get search results with relevance indexing from 0 to 100. But, you can’t get results when you type other than the name of the component. For example, if you type P0122, which is the OBD trouble code you retrieved from the vehicle’s computer with a scan tool, there is no result. on the browser of your mobile and use the manual on it. Keep in mind that you need to use pinch-to-zoom on most of pages very often because the website is not optimal for mobile devices. It’s not perfect, but you would be OK to use it on mobile devices as long as you get used to navigating the manual on a desktop. You can read index, internal links, and description clearly by enlarging with pinch-to-zoom. Wiring diagrams and illustrations can be enlarged, but they become blurry. So you need to enlarge by clicking the Zoom button. If they can be enlarged by pinch-to-zoom instead of clicking the Zoom button and still clear, it will be a fast and seamless experience on mobile devices. ALLDATAdiy.com is committed to customer satisfaction. If for some reason you are not completely satisfied with your purchase, you may request a refund within ten days of your purchase. Alldata offers fee sample for two vehicles. There is no restriction whatsoever. You can fully experience these two manuals for free.